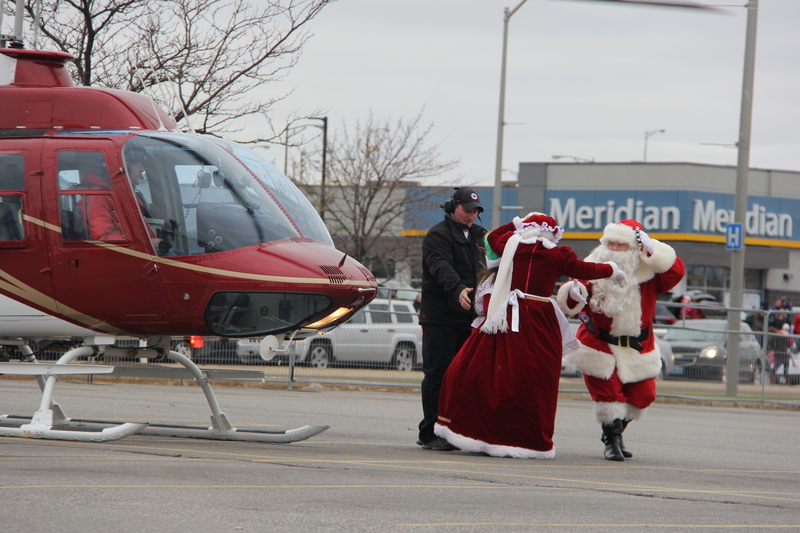 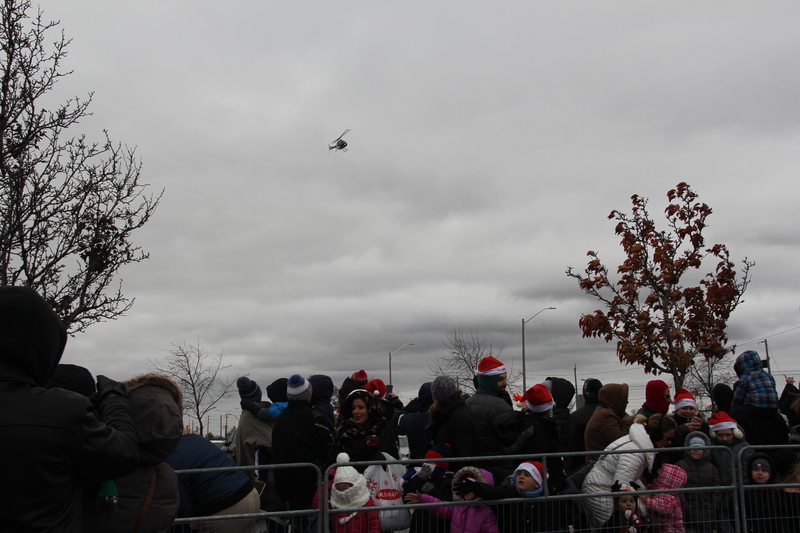 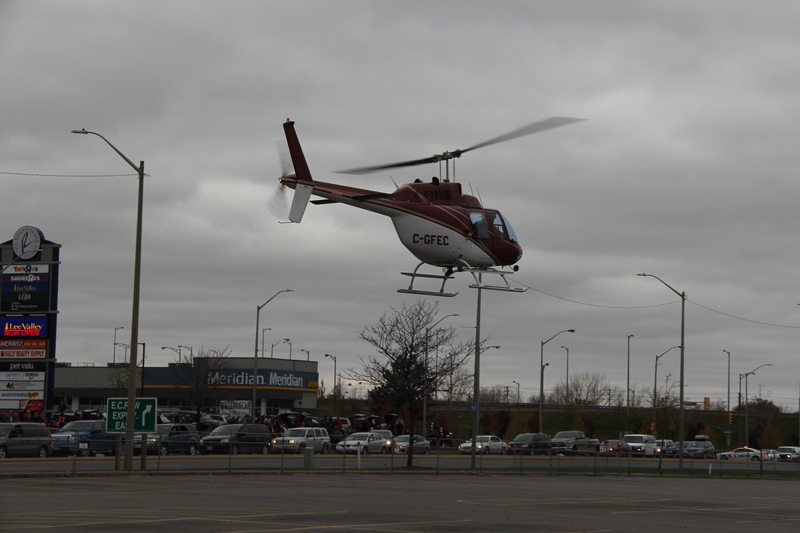 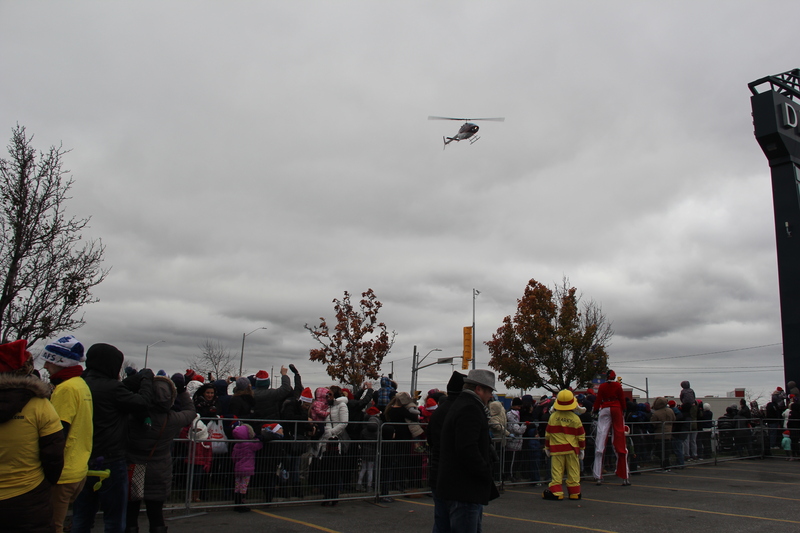 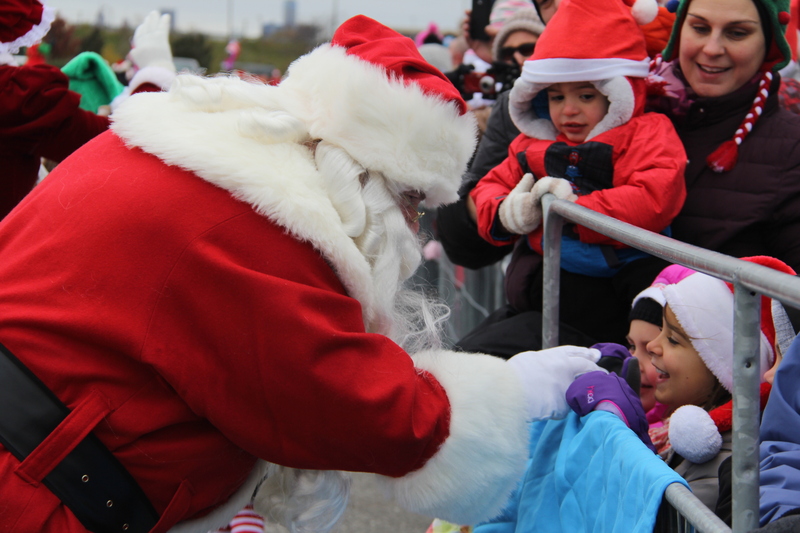 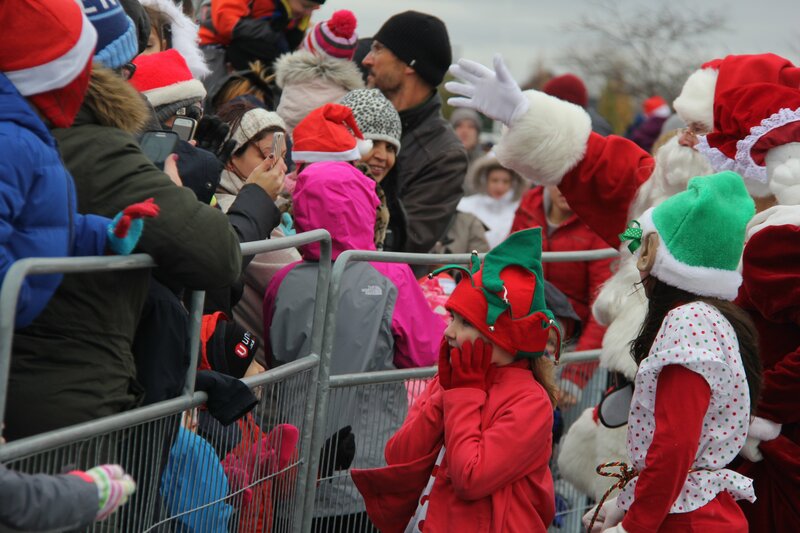 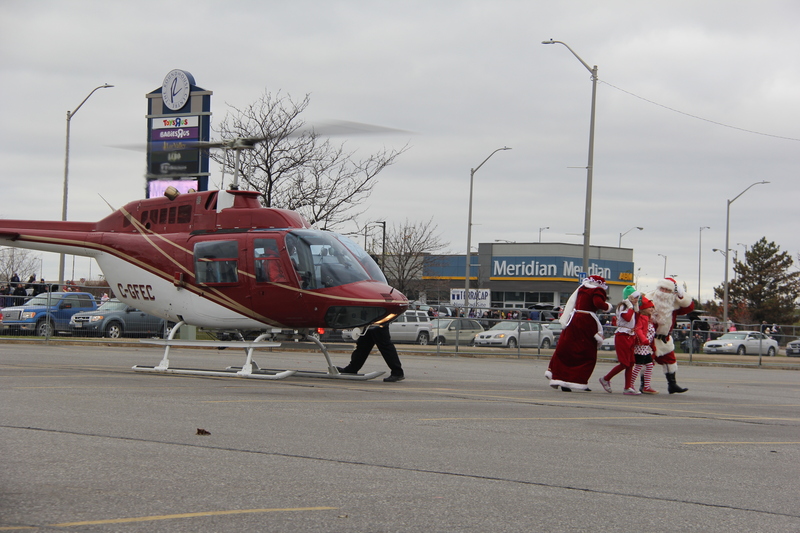 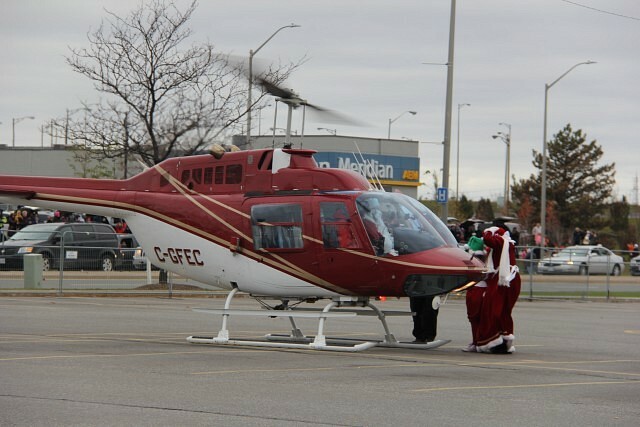 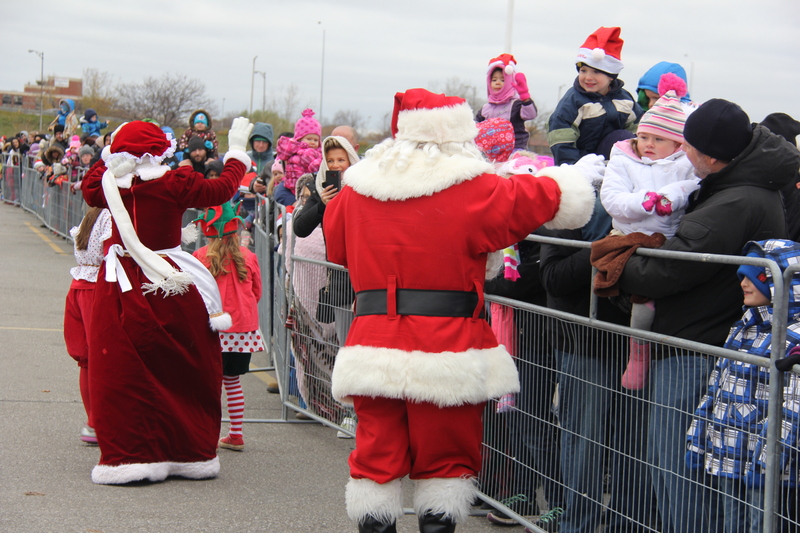 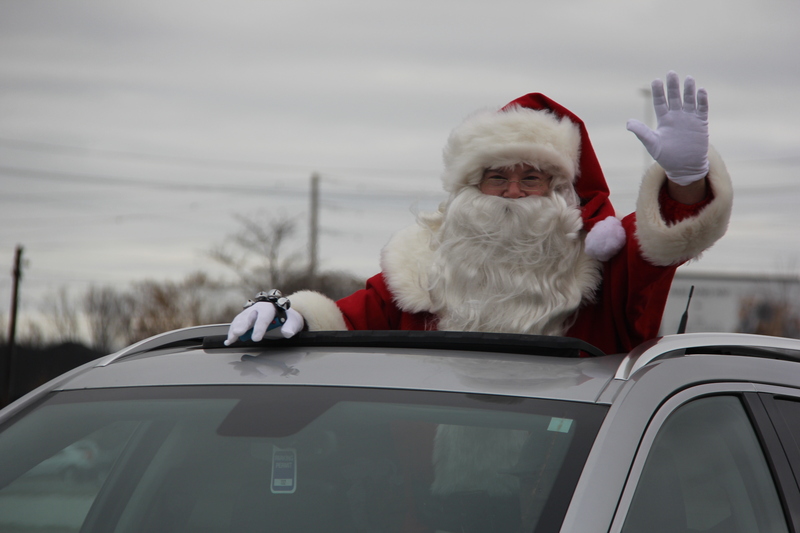 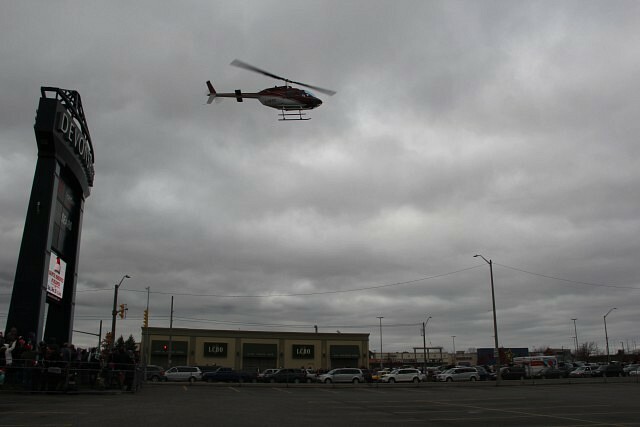 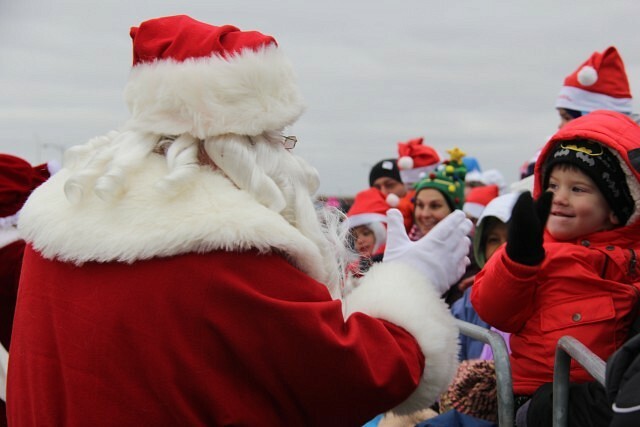 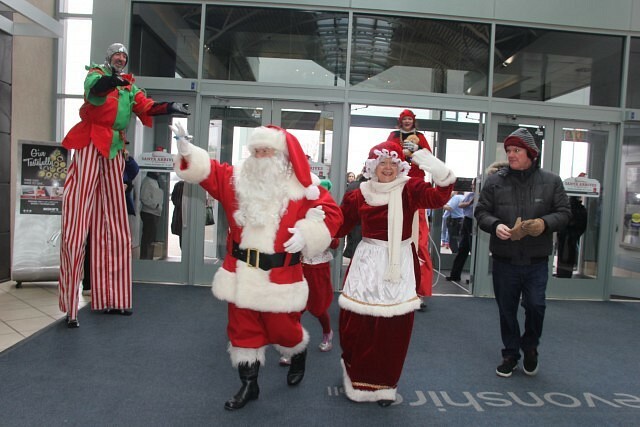 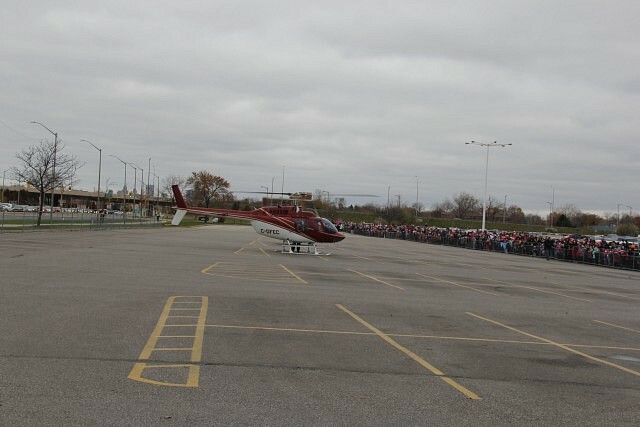 Santa made his annual arrival to Devonshire Mall by helicopter Sunday morning. 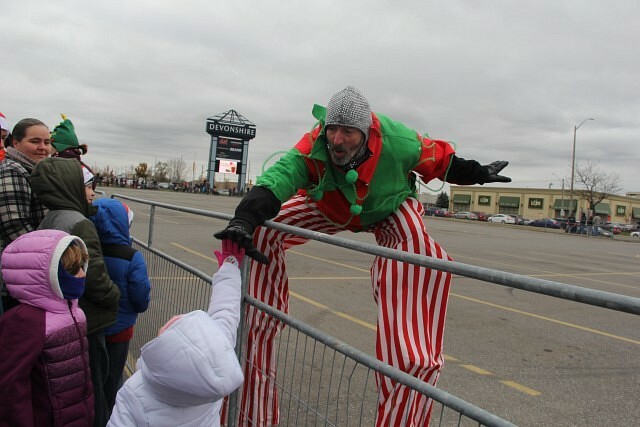 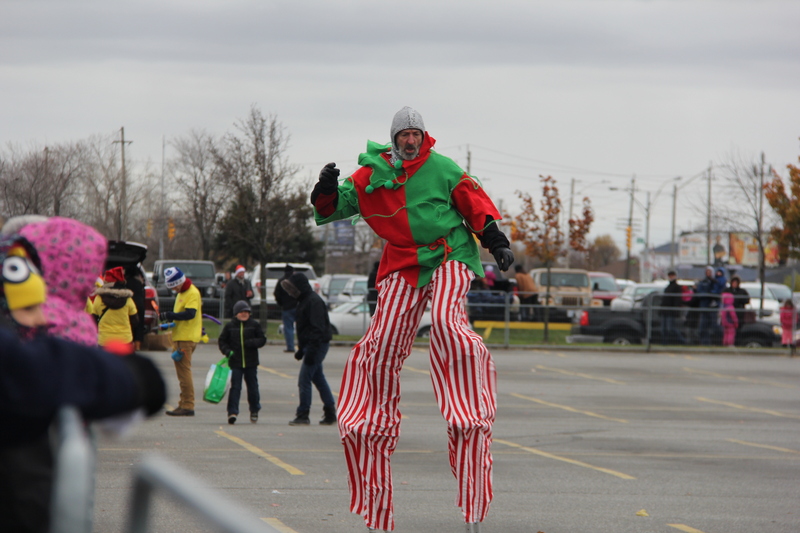 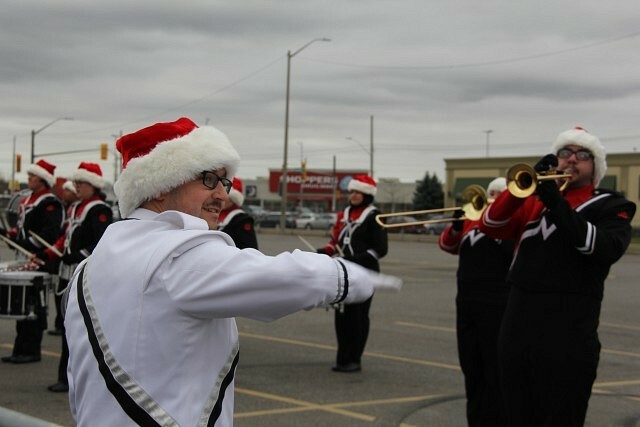 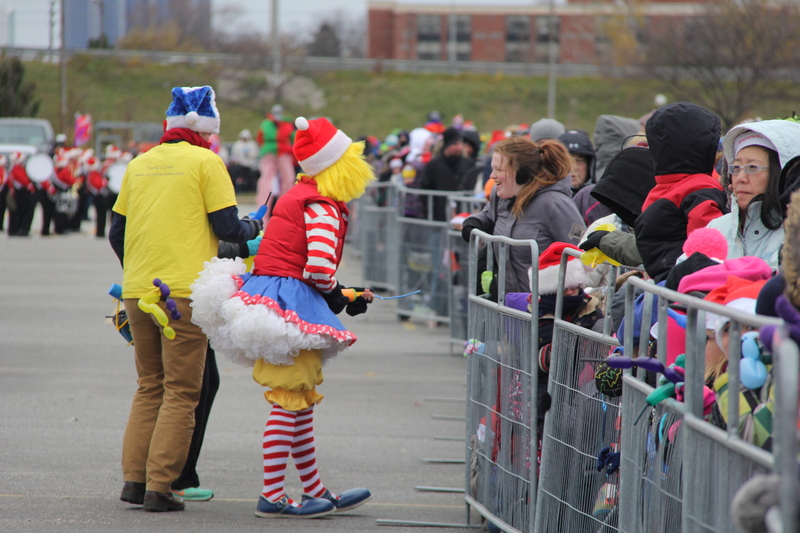 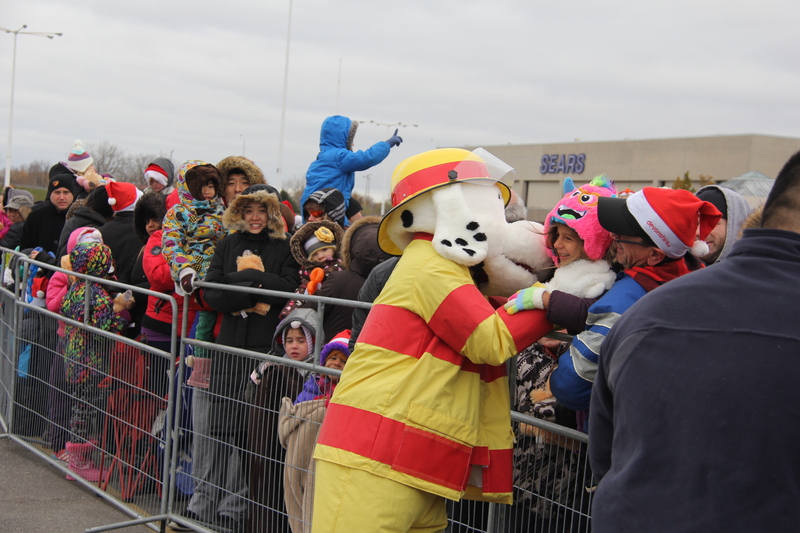 He made his grand entrance with the help of CLaroL the CLown, Sparky, the Windsor Optimist Youth Band, the Stilt Guys, and all of his fans. 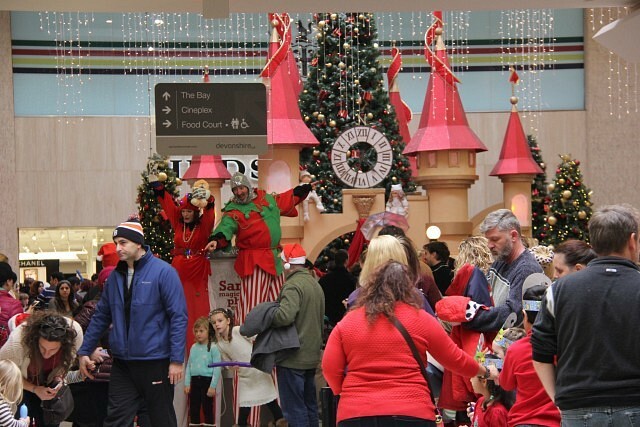 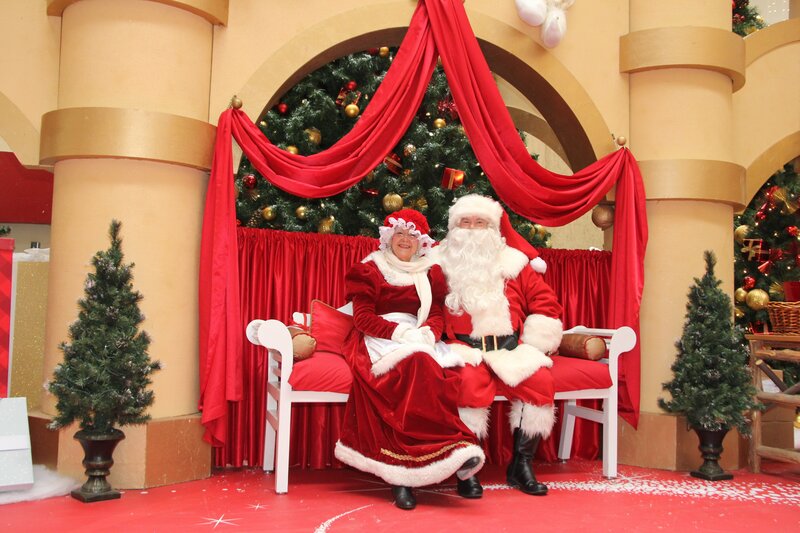 After his landing with Mrs. Claus and his elves, Santa was lead to his castle in Devonshire mall where parents can have their children take photos with him this season.